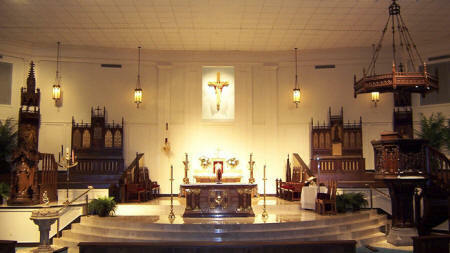 The Cathedral of Saint Matthew is located at 9101 Airline Drive in Houston, Texas 77057. Come visit us! We're conveniently located close to the George Bush Intercontinental Airport. Buses stop right at the front door of the cathedral. From I-45, exit east on West Gulf Bank Road. 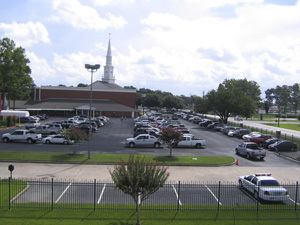 The Cathedral of Saint Matthew is located on the northwest corner where West Gulf Bank Road intersects with Airline Drive. Our 100,000 square foot facility includes a main sanctuary which seats 1,600 people, three chapels, two acres of paved parking, lighted soccer and baseball field and air conditioned basketball and volleyball court. 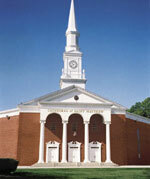 Members of our church are welcome to use our facilities free of charge for baptisms, quinceaneras, weddings and funerals.